It looked like an invitation, but I had no idea who it could be from. When I opened it, I was ‘Surprised & Delighted’ by what I found. Actually, as a marketer, I was extremely impressed. I had just had wheel and tire service performed by a local repair shop. I was referred to them and it was my first time visiting them. Everyone was friendly. The repairs were done properly and timely. When I left, I was satisfied with my service. They Earned A New Client! Not only did they send me a thank you card, but inside was a nice hand-written message as well as a coupon for my next service. When I worked at Edward Jones, we prospected by going door to door. When I created a new contact, the first thing I would do is write a Thank You card and mail it off. Then, a couple weeks later when following up, I’d hear compliments on how thoughtful the Thank You card was. So that was a situation where a Thank You card was great when communicating with prospects. Now take my situation at Cassidy Tire & Service. I had already paid for my service. It was over and done and to be honest, I was very satisfied. Before receiving the Thank You card, I would have had positive things to say about them. After receiving the Thank You card, I’m writing about them in a blog post and that’s where I’ll be heading next time I need tire service. Point being… A Thank You card is perfect for this situation. 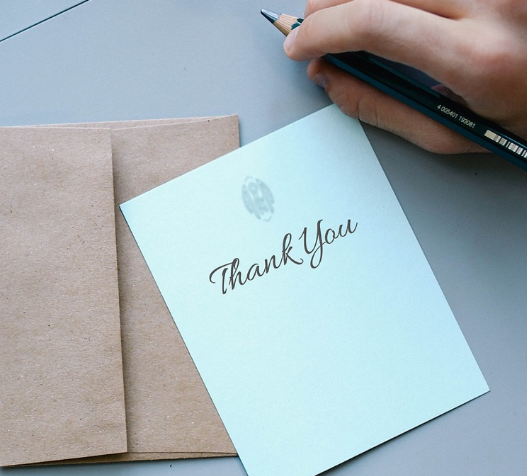 You just got a new customer and to build that relationship, you use a Thank You card to surprise and delight. And another way you can put Thank You cards to use is for long term clients. I’m not going into detail here. You get it. Send them one. Does your business get leads from your website or from other websites? Do you spend money on Search Engine Marketing or Local Marketing? If so, you need to be responding to your leads and inquiries in under 5 minutes. 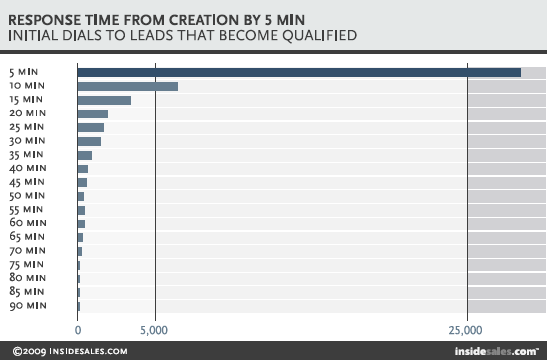 Unless you’re okay with some of your marketing dollars slipping through the cracks, responding to form-filled leads in under 5 minutes drastically improves the chances of you reaching your prospect, qualifying them, and making a sale. Your potential customers love it as well! They are surprised that you and your business is so attentive to them. To be honest, and it’s probably not the best thing to say, this type of attention is something they don’t get from 99% of people in their lives. So what happens when you and your business do it? You build instant credibility and you set your business miles apart from your competition. If you look at the bottom of each image you’ll see this was take from insidesales.com. You can even read an article in Forbes that goes into excellent detail about when to follow up with your leads. The bottom line is that not only does it increase your business, it establishes excellent rapport with your potential clients! So this one has the potential to be a game-changer. Within your industry, whatever it is, most businesses are likely doing very similar forms of advertising and promotion. When I consider some of the industries we serve, I see a lot of offers… ‘Buy one of these and get the other half-off’, ‘Save $500 This Weekend Only’. Yes, these things work – mainly for buyers who are ready to purchase right now. Everyone else is doing it. Meaning there is little to no differentiation between your business and theirs with the exception of layouts, colors, logo, etc. You’re essentially blending in here. You’ll still likely get business, but will it be breakthrough levels of business? Probably not. To do that you need to do something different. You’re only catching the most in-market buyers with that message. You’re appealing to those that need it and know they need it now. You’re missing out on those that need it, but just not this moment. And then there’s those that know they’ll need it soon. What about those that don’t need it, but really want it. Are they going to be light up by your sale offer? Probably not. But what if you gave away a guide that shows people how to avoid the most common mistakes in your industry? What if you gave away a checklist that someone could use to solve a certain problem? What if you gave away a chunk of your time to teach people how to solve a problem or create something specific to your industry? And do you think that if you solved a problem for them BEFORE they needed to purchase from your industry, they’ll be a little more likely to purchase from you? Now, it does take some time and effort, but how many of your competitors are doing this? My guess is probably very few and there is excellent opportunity for your company to make an impact. Keep it simple and pick one way that you can surprise and delight your prospects and customers. Maybe you’re already writing Thank You cards. Maybe you already respond to your leads lightning fast. Maybe one of these really appeals to you. Just pick one and schedule some time to work on it daily or weekly. Want To Guarantee You Respond To Your Leads In Under A Minute? Lead Sling is a simple, but powerful piece of software that ensures you respond to leads in under 5 minutes – the key timeframe to maximize lead to sale ratio. In fact, you’ll be responding in 30 to 45 seconds! It’s simple, effective and inexpensive. Get a 10-Day FREE TRIAL today! 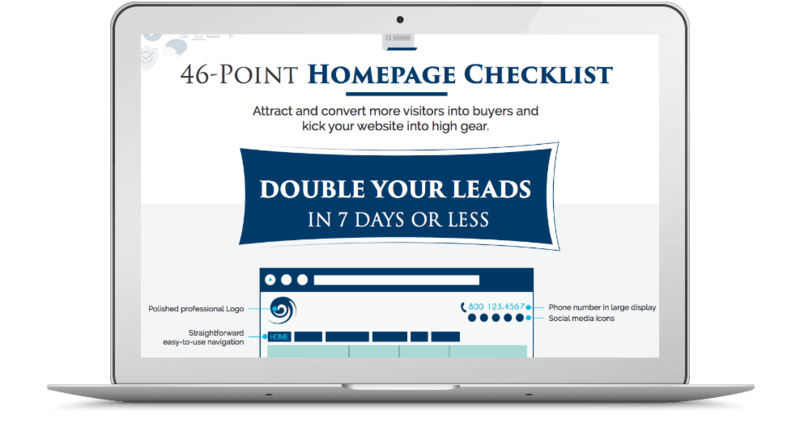 Double Your Leads In 7 Days!